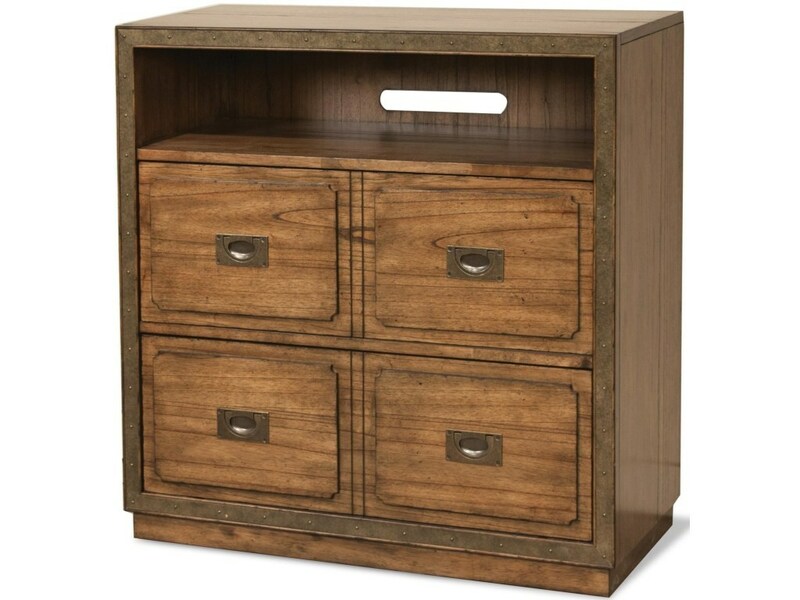 Use this four drawer storage unit in an elaborate entertainment configuration or as a standalone media chest; you won't be disappointed with either! This piece is constructed of hardwood solid and veneer in a warm chestnut finish that pairs beautifully with the nailhead trim accents. For storage, you receive four spacious drawers, along with an open electronic storage area that features a ventilation and interior wiring access cutout for regulating heat and hassle-free connectivity.